Tired of replacing your old vinyl liner every few years? Tired of making patch repairs to holes, rips and tears in your vinyl liner? Convert your vinyl liner pool to a fiberglass pool and have a worry-free pool that will last and last! 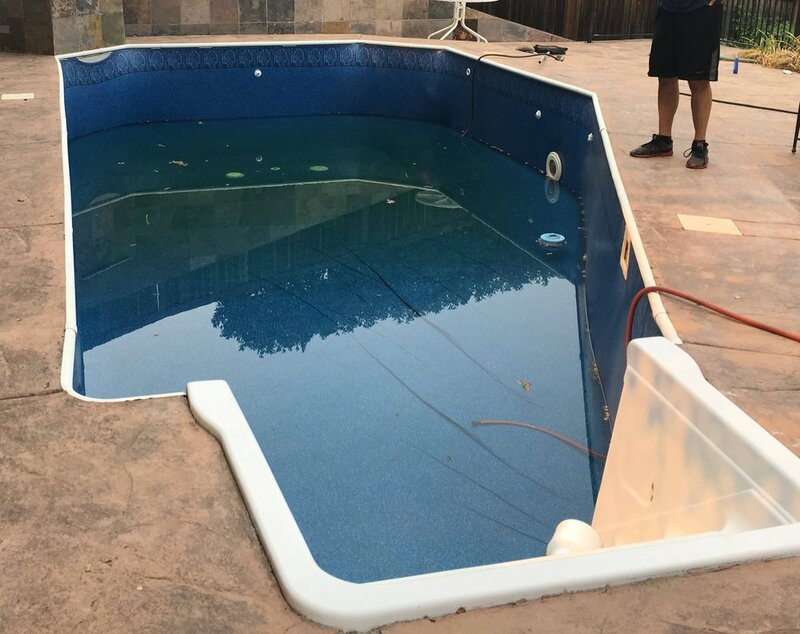 The strength and durability of an Advanced-Glass fiberglass shell will convert your existing vinyl liner pool into a permanent structure, at a much lower cost than other "permanent" alternatives! Imagine the convenience of having the Advanced-Glass fiberglass sprayed onsite, over your existing pool shell - no need for big equipment or damage to your backyard! It typically only takes a few days for our professional crews to complete the conversion. For a truly custom and professional look, consider adding a band of waterline tile around the top perimeter of the pool!